We have to face it – the popularity of the traditional way of greeting people during Christmas has slowly been declining over the years. You may say I am stating the obvious, but if you think about it, Facebook might not be the main thing to blame. Some guys at Mintel International actually points out that the decline in Christmas card sales started way back in 2005. Today, though, experts are pointing fingers at social media sites – not just Facebook, mind you. 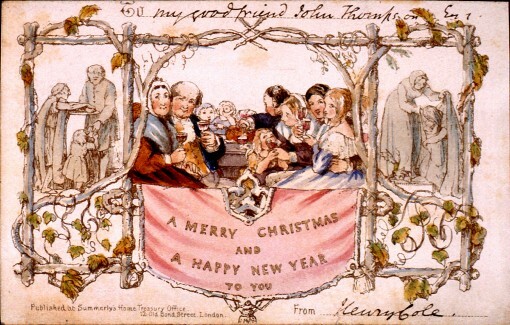 One of the purposes of Christmas cards is to do some catching up, and with people being more connected on a daily basis these days, the need for the former is fast become non-existent. Think Facebook status updates – at least once a day for most people. Think tweets – definitely more than once a day for those who are on Twitter. Then there’s e-mail, instant messenger, text messaging, e-cards, and so on. All of these things are so accessible and do not take up much time. Compare that to having to purchase Christmas cards, writing notes (manually! ), and posting them. With the mindset and fast-paced lifestyle that people have these days, it is not such a surprise that Christmas card sales are way down, is it? Enter Facebook card app Fun Cards. To be honest, I haven’t used this app even though they have been up since 2007. Christmas 2010 is not here yet, but 8 million cards have been sent so far. Things do seem ominous for the Christmas card, don’t they? How about you? Are you going the Facebook card route or are you going to try for something more tangible?